1. Novel writing takes tenacity. What keeps you/kept you coming back to the page? What helped at first was the illusion that it wouldn’t take very long to finish a novel. I imagined a few weeks of getting it all on the page, and then maybe a few months of revising. I was also forming To Be Frank Diego by piecing together some stuff I had already written, so I thought I had done maybe half the work and the rest would be easy. So, I was delusional, really. I naively believed it would be a much easier and shorter process. Once reality kicked in though, I still believed I could and would finish the novel—and thought I had finished it on at least three different occasions. Once I started really “seeing” the story, it did become easier to write and want to finish it. What I mean by “seeing” is that as I kept writing and revising, visual images of the scenes in each chapter became more and more vivid, which made the writing more enjoyable too. I saw the story unfold in a certain way—kind of like a movie–to the point where it felt as if I were simply retelling a story that actually happened. Towards the end, about a year and a half into it, my motivation was mainly in finishing it and making it better. The homestretch wasn’t fun and it wasn’t pretty, so I had to set deadlines for myself and seek professional editing help. I’m by no means dependent on the encouragement of others, but I’d be lying if I said that didn’t help too. 2. Is your writing style different now from when you began writing the novel? My writing style is different now than it was two years ago, yes. I find myself self-editing more as I write because I know my tendencies and bad habits a little bit better. For example, I know I can be redundant. I’m also more aware that I sometimes overwrite, or make sentences more complicated than they need to be. And the list goes on. But the point is that now I edit as I go in an effort to make my voice clear, simple, and occasionally funny. I think when I wrote my first draft, I used a lot more grad school type words (ubiquitous and repudiate and such) in an effort to prove my literary chops, or intellect, or whatever you want to call it. After re-reading it I thought, “Not only do I not talk that way, but I don’t really like it when people talk to me that way either.” So the tone of my writing has come down to earth a bit more. It’s less academic. I’m no longer trying to impress anyone with my word choices. Now I’m simply trying to tell a story that flows, feels authentic, connects to people, and has some sense of humor. I don’t know if I have a writing schedule. When I begin a big writing project—and this is a grand total of three times in my life so far—I isolate myself for at least a week. I get obsessed with an idea that’s been marinating in my head, and dive into writing about it with little regard to the time of day, my food intake, other humans, etc. Once I emerge from my cave, I let the story sit for a week or so, and then return to it for a few hours each day. I’m not a morning person, so I like writing in the afternoon or at night, either in silence or with instrumental music on in the background. And I need to be alone at the beginning of the process. For re-writing or revision, I like to go to a coffee shop like the one I’m sitting at right now. 4. Did you have a vision of what this project would be before you started? Did the book fulfill that vision or depart from it? 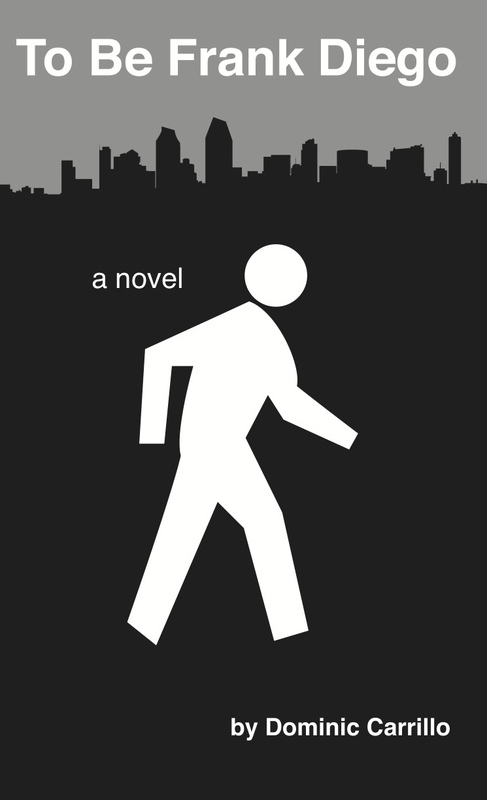 I wanted to write a novel for maybe seven years, but I had no strong vision of what it would be. About four years ago, the idea of Frank Diego’s story began to develop. At first I visualized only a few scenes, then (about two years ago) the story concept came together and I wrote 80 pages in two weeks. Since then the story and its characters have evolved quite a bit. Many chapters have been added and cut. But I knew from the time I wrote those first 80 pages that it would become a novel– mostly because I knew of the online self-publishing industry, and I knew anyone could “publish” a novel these days. Now that it’s in printed book form, it’s just a question of: Is it decent and interesting enough to be purchased and read by a large audience? That still remains to be seen. So, the initial vision of To Be Frank Diego has been fulfilled and has evolved far beyond my first concept of the story. But the project itself will not be finished—or fulfilled– until I’ve promoted it far beyond my friends and Facebook contacts and had some anonymous critical feedback. 5. Who was your most influential teacher? Author? I have flashes of many good teachers who’ve influenced me. First, there was Dr. Bennett, who somehow made me feel like I was smart back in the eighth grade when I felt pretty dumb. He was encouraging and inspirational. I also remember my first writing teacher my freshman year in college. When we met and discussed my creative writing assignment, he sounded very sympathetic and told me he was sorry about my traumatic childhood experience I’d written about. He explained that he could tell it really happened to me. When I told him it was pure fiction, he was a bit embarrassed, but it gave me an indication that I might be a decent writer. Jervey Tervalon was my creative writing teacher at UCLA. He was the first published author I’d met, so when he encouraged me to write more, it meant a lot. 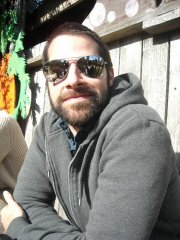 He also advised me to write what I know about most, based on personal experience, and that’s stuck with me. But the most influential teachers over the last ten years have been, hands down, my own students. 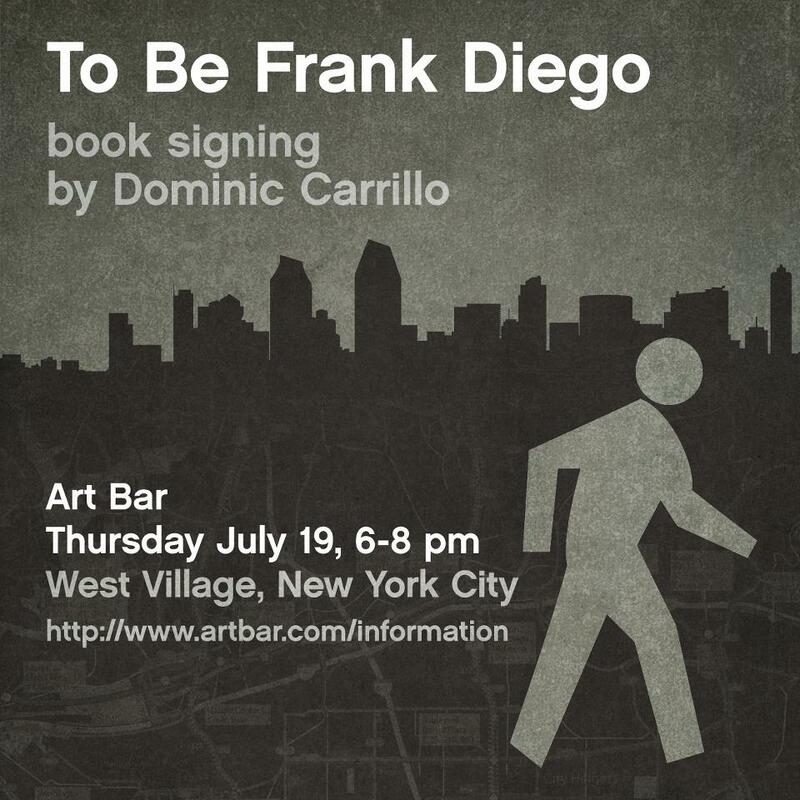 Dominic Carrillo will be signing books at the Art Bar in New York City on Thursday, July 19th, 6-8 pm. You can read more about him and To Be Frank Diego here.